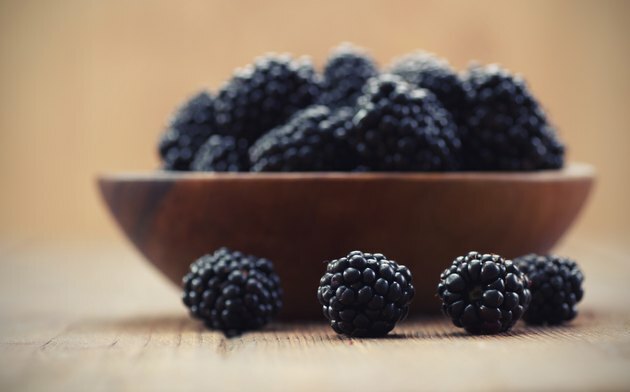 With berries growing in popularity as a healthful food item, providing vitamins, phytochemicals and antioxidants, blackberries are beginning to take a more prominent place in your grocer's produce department. 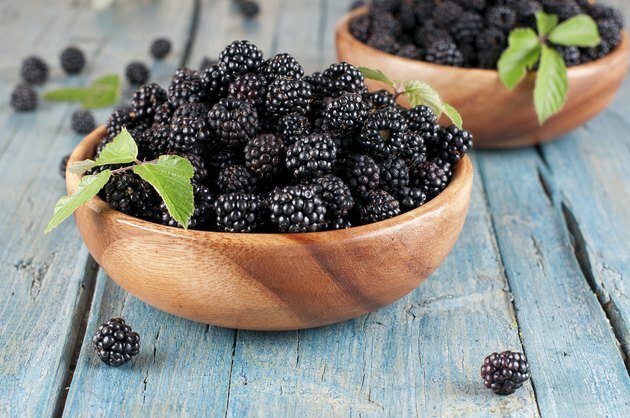 You may be able to grow blackberries in your own yard. But did you know that you may be able to grow blackberries in your back yard. 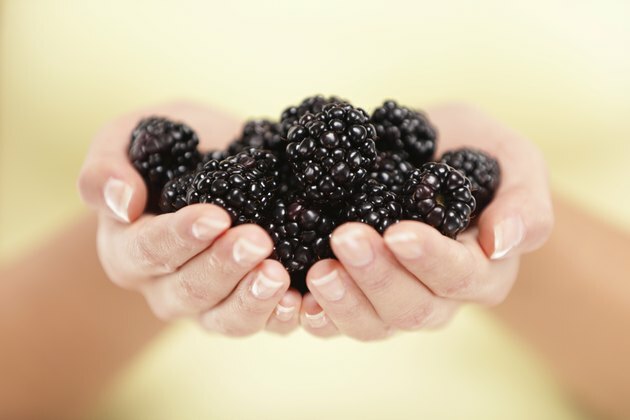 And you can plant thornless varieties of blackberry, which means you can harvest the fruits without a single scratch. Apache is a variety of thornless blackberry. Apache is a thornless blackberry bush variety that is erect, meaning it grows upright, although it may need minimal trellising to keep canes from arching over when fruiting. Apache's berries are large and glossy black; quality is considered good, with ripening occurring from July to early August. 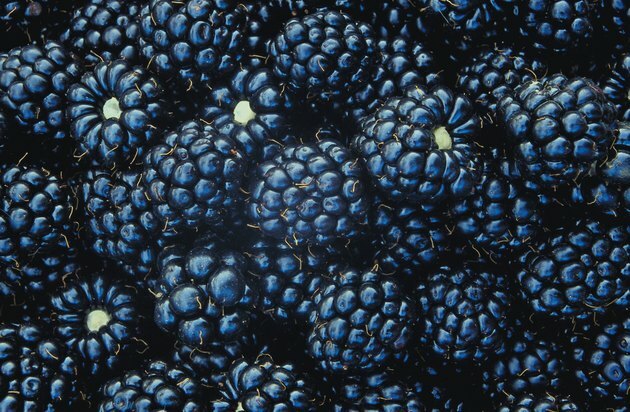 Apache is the hardiest of thornless blackberry varieties, according to Southwest Missouri State University. The Chester thornless blackberry produces large fruit. 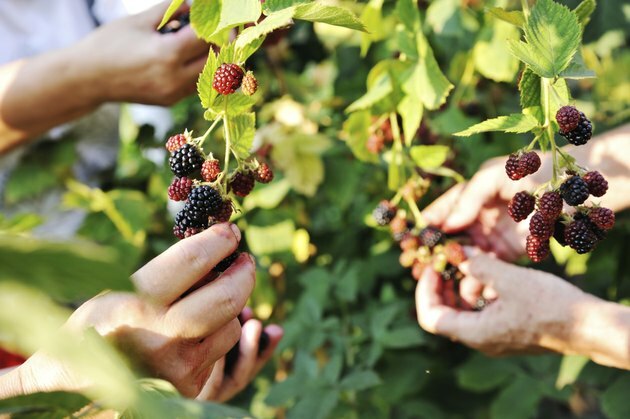 According to the University of Tennessee Agricultural Extension Service, the Chester thornless blackberry produces large fruit of good quality on vigorous plants. Chester blackberries are resistant to sunburn, and the plants have good winter hardiness, also demonstrating a resistance to cane blight. Chester is a semi-erect plant and will most likely need help to keep its canes from drooping to the ground. Triple cCrown is a good variety for backyard gardeners. 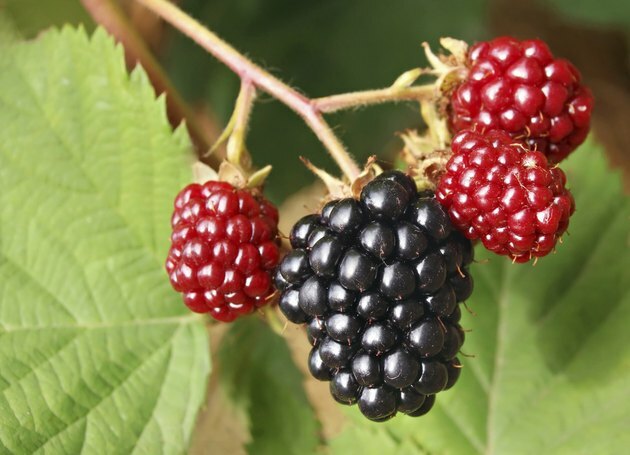 Triple Crown is a semi-erect thornless blackberry plant that is known for producing large, sweet berries. Plants are vigorous producers, and fruits ripen between mid-July to mid-August. The Triple Crown is considered a good plant for backyard gardeners, but may need some support, as it is semi-erect. Ouachita blackberry plants have good winter hardiness. Ouachita is an upright and erect growing thornless blackberry bush that is known for producing large crops of firm, large, sweet berries. In fact, you might need to trellis your Ouachita blackberry when it is fruiting to keep canes from leaning over. Ouachita blackberry plants have good winter hardiness and are disease resistant. The Navaho variety needs no trellising. Navaho is the only thornless blackberry variety that has canes that need no trellising. Fruiting is not quite as plentiful as other thornless varieties of blackberry, but the fruits are known for excellent quality and taste. The Navaho thornless blackberry shows disease resistance against double blossom, a fungal disease that attacks blackberries. 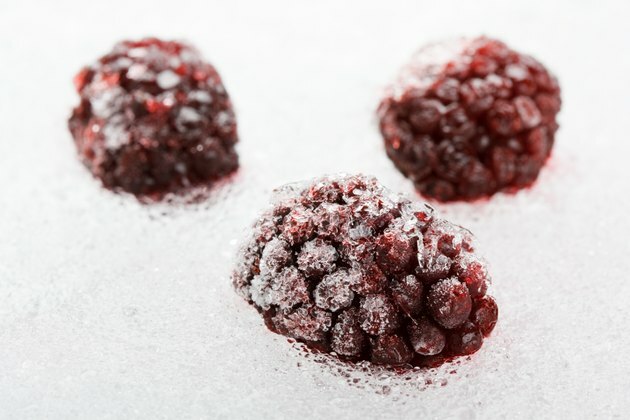 The Arapaho blackberry produces fruits that are glossy and firm. The Arapaho thornless blackberry produces fruits that are glossy black and firm, containing smaller seeds than most other blackberry varieties. Its berries are the earliest ripening of all thornless blackberries, and fruits grow on upright, erect canes. The Arapaho is known for good cold hardiness and disease resistance. Leslie Lane has been writing professionally since 2007. Her areas of expertise include landscape and garden design; trees, shrubs and perennials; plant care; and plant pests and diseases. An education in landscape horticulture from Lansing Community College is paired with several years experience working for one of Michigan's premier wholesale/retail nurseries and growing farms.